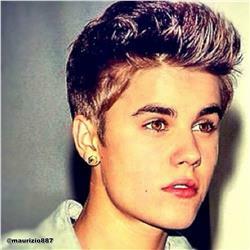 I love Justin, please give me tips on how I get him to follow me on Twitter please!! think about it he has millions of girls desperate for his attention, if you act desperate you're just another fan girl - be kind and ask for a follow when tweeting him, tell him it would make your day! I wrote an article about this a while back and according to the feedback I got, many people got a follow from Justin - the best tip I can give you is to be friends with the people he is following then sneak in a direct message on your behalf from them! Below is the full read. 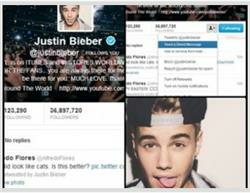 Pay attention to how Justin Bieber uses Twitter. The more active he is on Twitter and the more personal his tweets are, the better are your chances of getting him to engage with you. After considering the following questions, if it doesn't seem like Justin does much personal engagement on Twitter, you may want to consider moving onto someone else you who knows him. His PR person, How frequent are their tweets? Do they frequently tweet themselves, or hire someone else to tweet on their behalf?